I've posted some glorious colourful artwork on this blog but sometimes a more muted approach can be equally effective. 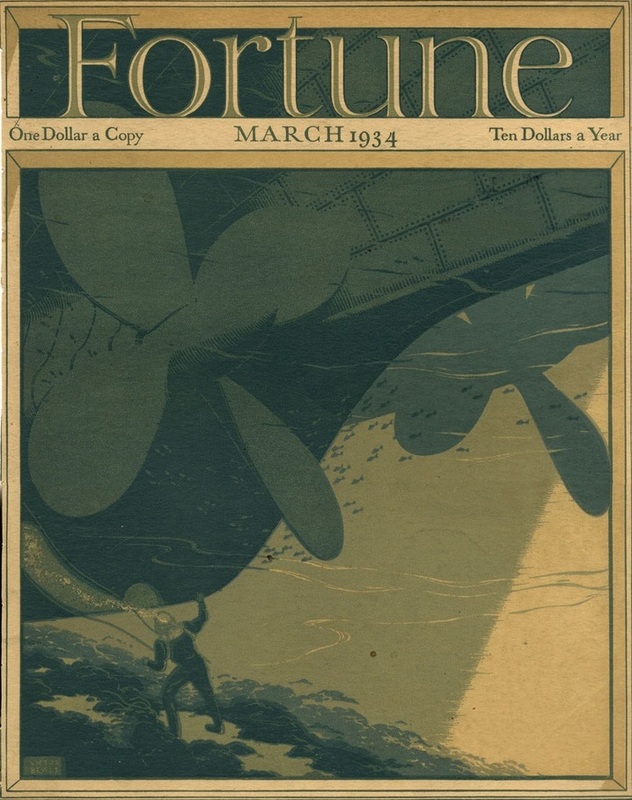 I love this Fortune cover by Victor Beals from 1934 with the simple shades of green creating a striking, atmospheric piece. Victor Beals (1895-1975) was born in Wuhu, China and was best known for his work in travel advertising. His clients included Cunard, Italian Line and American Express. "This is a book by P.P. Serebrenitsky. 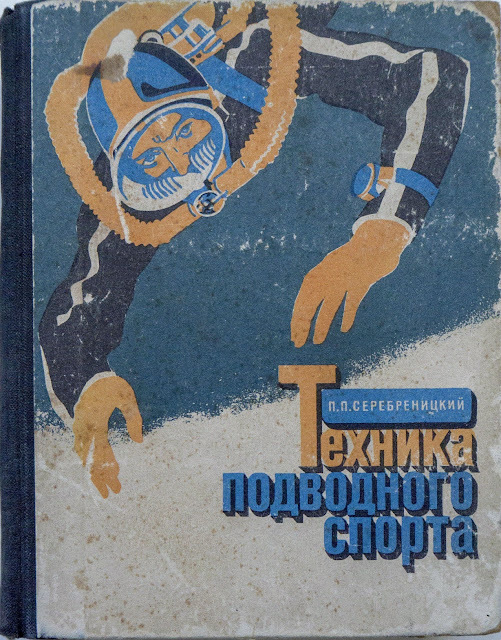 "Technics of Underwater Sports" in Russian with illustrations and hardcover. The book was published in 1969 in Leningrad, USSR. Size is 130 x 170 mm (5.1" x 6.7") and 463 pages. 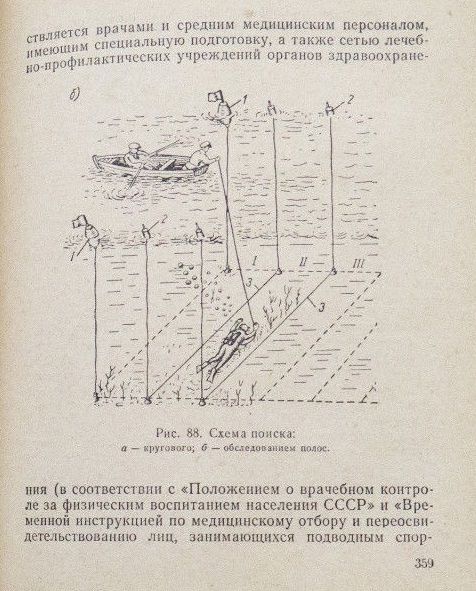 The book include many illustrations. Circulation is only 35 000! 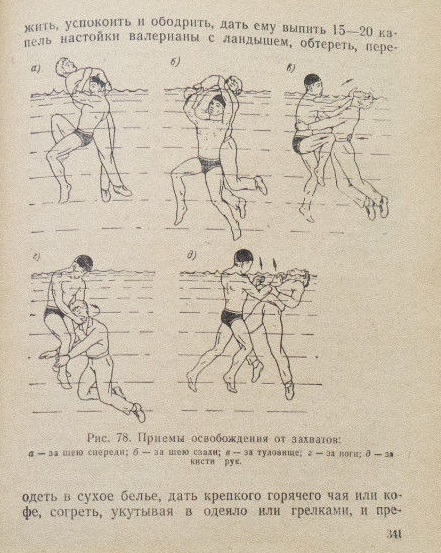 About the technique of underwater sport. The description of the device and operation of sports underwater equipment and equipment is given. 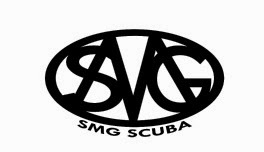 Provides information on the technique of diving and photography, underwater filming and underwater hunting. 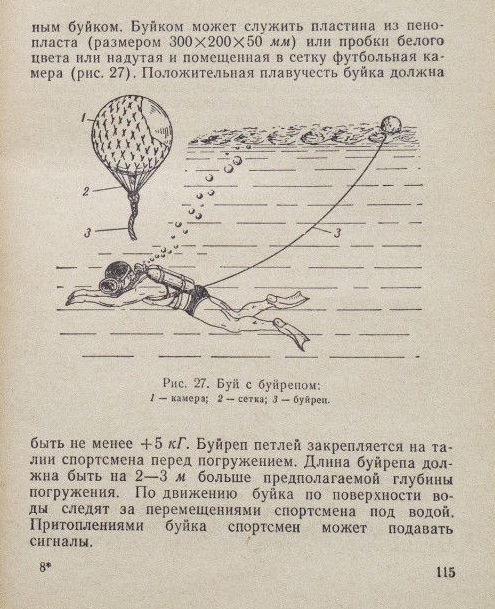 The basic laws of physics and physiology on which the person's stay under water is based are briefly reviewed, information on possible specific diseases, prevention, first aid and safety precautions is given, and data on techniques and techniques for training swimming on water and under water are given." 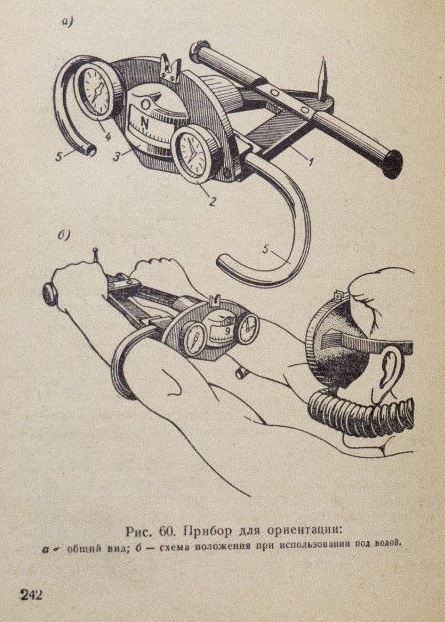 This illustration seems to show a rather elaborate device for underwater navigation. 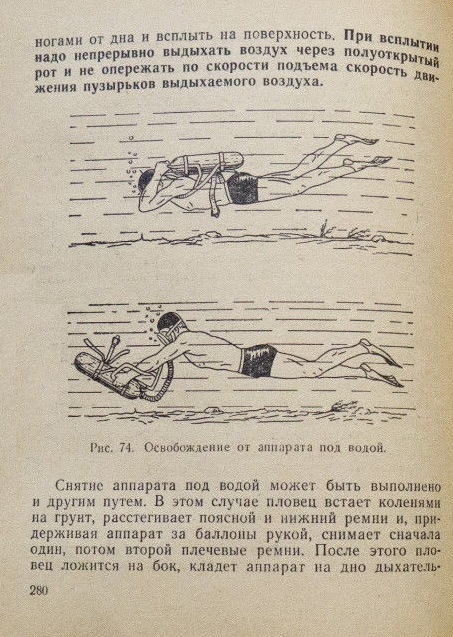 At first glance I thought this page showed rescue techniques but now I'm thinking it's showing in-water combat! Actor Cornel Wilde began his acting career in 1935 and twenty years later formed his own production company. He produced, directed and starred in a number of his own films over the next fifteen years. 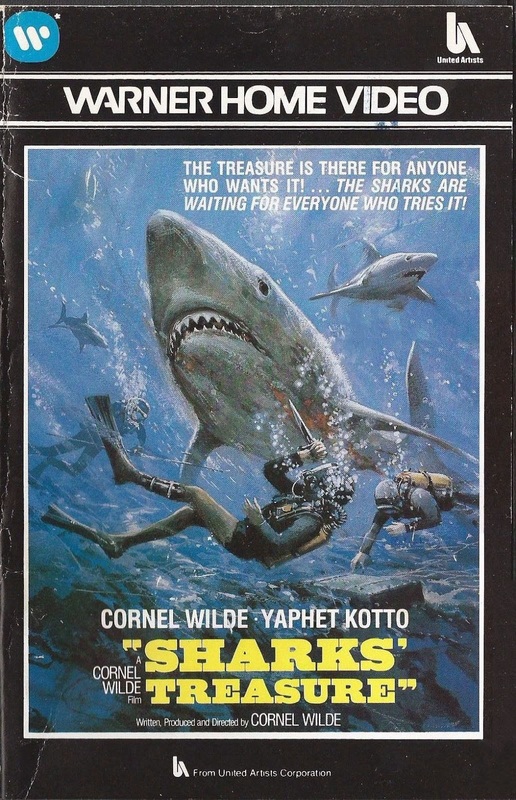 In the early '70s he took a break from the cinema, taking a couple of TV roles, before returning in 1975 with Shark's Treasure which was made to capitalize on the success of Jaws. Wilde wrote, produced, directed and starred in the film as well as writing the theme song, Money, Money, which was sung by Ken "Postman Pat" Barrie. He might have done the catering too for all I know! This American one-sheet poster is signed "Koslow". I'm guessing this is Howard Koslow (1924 - 2016) who is probably best known for painting various series of stamps for the United States Postal Service. 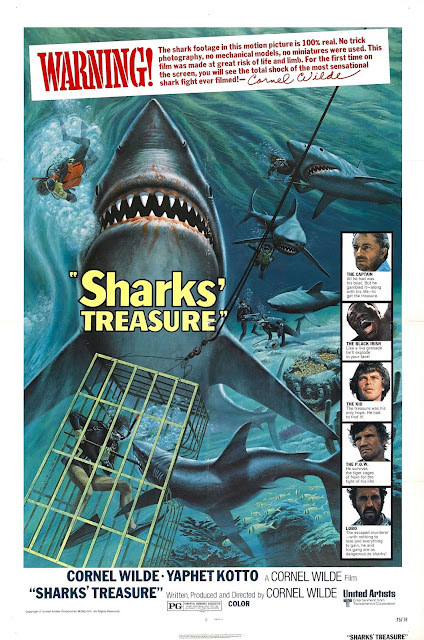 There was also another one-sheet with a photo from the film but this one is much nicer (Click for larger image). Here's an Italian poster (artist unknown). The title translates as Between Tiger Sharks and Desperados. Finally, here's the artwork used on the home video release (artist unknown).